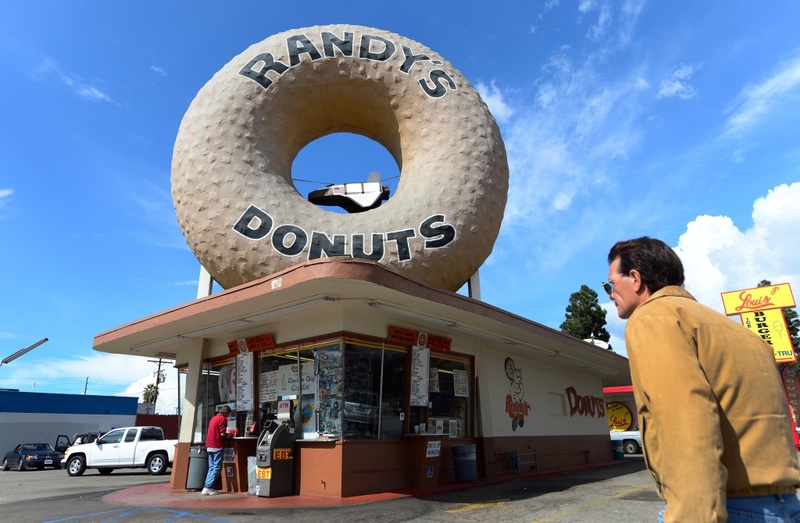 The giant donut on the roof of Randy's Donuts is adorned with a mini US Space Shuttle, strung up in the donut hole, on October 11, 2012 in Inglewood, in southwest Los Angeles County, California. 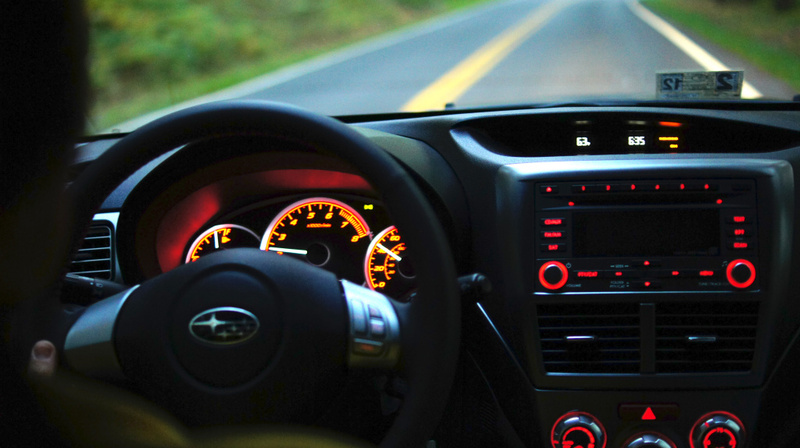 From Big Donut Drive-In in Inglewood to an ice-cream parlour shaped like an owl in San Gabriel, California was and is home to some of the strangest roadside anomalies, meant to entice drivers to stop in for a snack or just to snap a photo. The new edition of “California Crazy: American Pop Culture” (Taschen America, 2018) pays tribute to these kitschy structures and the history they represent.